At night, especially in the summer months, the bush becomes a wall of sound. 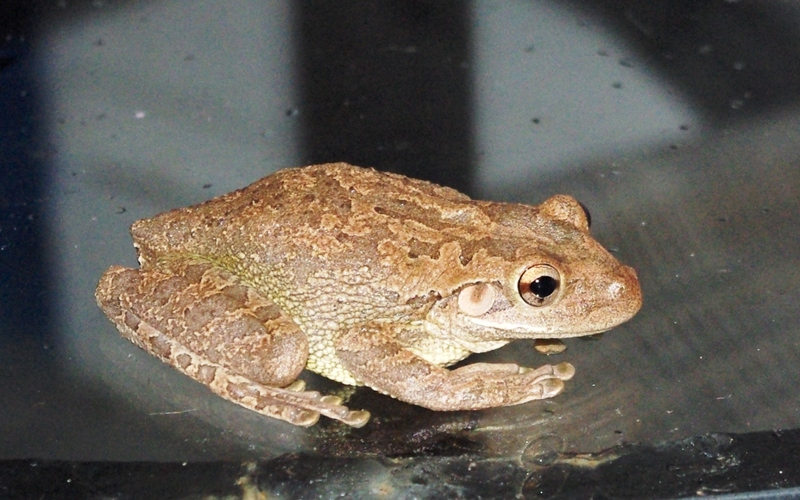 Insects and birds create a pleasant backdrop, but the real noise comes from the frogs. Virgin Islands Coquis provide much of the sound, but there's a wide variety of other frogs making their contributions as well. I managed to capture one on film the other night. He was about 3" long. I think it might be the invasive Cuban Tree Frog , but my identification is likely incorrect. Anyone else want to hazard a guess? Do you find frogs come into your house? I have heard terrible stories of infestations of frogs both in and outside in Tortola but wonder whether they may be in some areas and not others as I have noted that you don't mention them as a problem. Would be glad to know as I am planning my move and would like to avoid particularly froggy parts! I found a small Coqui in the house once. I've seen a few other Coquis near the house. Cuban Tree Frogs are a problem. I've never seen one in the house, but a few around on the deck. Our landlords use pesticides to prevent Cuban Tree Frogs from coming around, and I always let the landlords know if I see one. The only thing I've heard about frog infestation is related to Cubans infesting cisterns, which can cause problems with drinking water. I don't know if some areas are worse than others. Thanks. 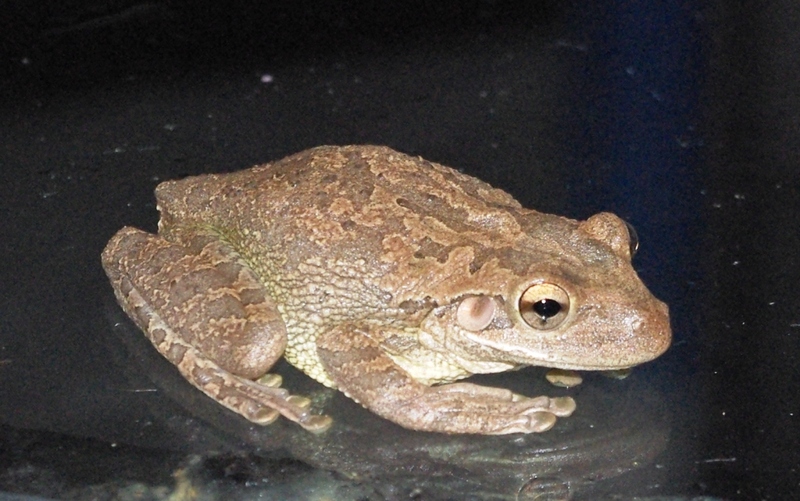 I had gathered that the Cunban frogs were a problem and I am worried that my cats may pick them up in their mouths and be poisoned. I will make sure I ask my landlord to apply pesticide before the cats arrive! Still waiting for the permit!